Is Information Technology Available for All? Recent developments in information technology have transformed the way people communicate and behave in society. We live in an age where companies in every industry are now leveraging IT to enhance operational efficiency. So, what more can IT do for you? The Service Industry, in particular, is experiencing advances like never before. Some service companies are truly taking the utmost advantage by implementing industry-transforming technology solutions that simplify their entire work flow and generate inconceivable levels of business. Gone are the days when large scale corporations dominated market share with a firm control of IT advancements that gave small business little room to compete. Business expansion is now available to small & medium scale businesses that partner with flexible, and personable firms such as Quacito, that can empower them through customizeable solutions that often enable the small to medium businesses disrupt their industries. We’ve done this for others. I reiterate, why not see how we can do this for you? Let our expertise with IT operations help you leverage the benefits of technology to speed up your growth, like your competitors have only imagined. 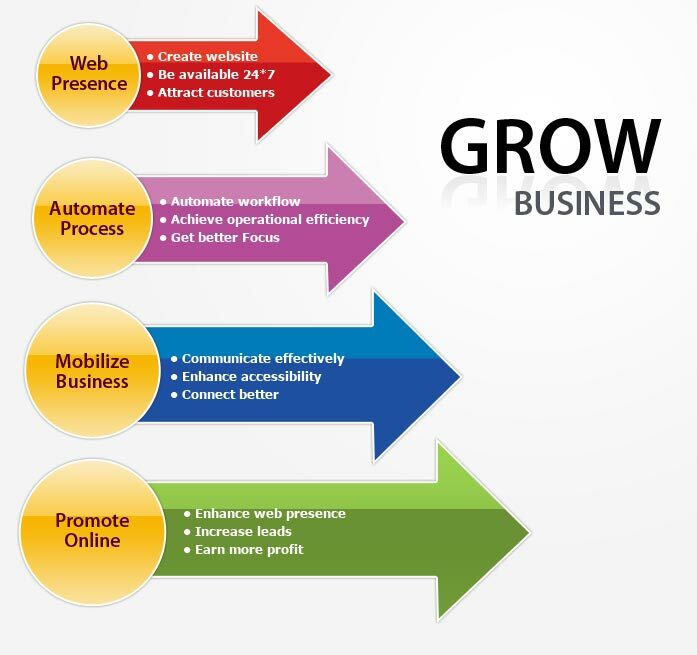 Here are a few MUST DO’s for the growth of your business. These simple developments in your IT structure, can bring additional benefits for your business.